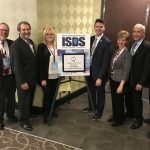 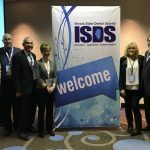 On April 5, 2017 over 200 Illinois State Dental Society dentists traveled to Springfield for the annual ISDS Capital Conference to meet with their legislators and discuss issues important to Illinois dentists and their patients. 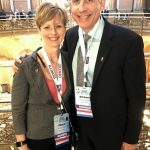 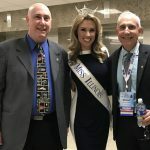 Some of these issues included the State of Illinois dental payment crisis, the major problems with the Medicaid Care Coordination Program, and the poor dental coverage in the adult dental Medicaid coverage. 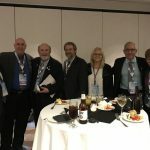 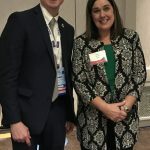 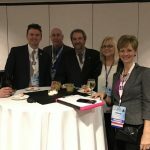 Dr. Steve Petras, President IL AGD, Dr. Lou Imbrugia, CDS President Elect and ILAGD member, Dr. Randall Ashton, ILAGD Legislative Chair, Dr. Brenden Moon, ILAGD Secretary, Dr. Joe Hagenbruch, ILAGD Past President, Dr. Cheryl Mora, ILAGD Past President, Dr. Spencer Bloom, ILAGD Board Member and Dr. Michael Mora, ILAGD Member and Jamie Petras, ILAGD executive secretary attended the event.